Has your garage floor seen better days? Whether it’s never been coated or a subpar coating has left it cracked, pitted and stained, now’s the time to consider a new garage floor coating. Shrinkage: Even relatively new concrete slabs can develop cracks as the material shrinks during the curing process. Shrinkage cracks are usually shallow and create a three-point star or spider-web pattern across the surface. 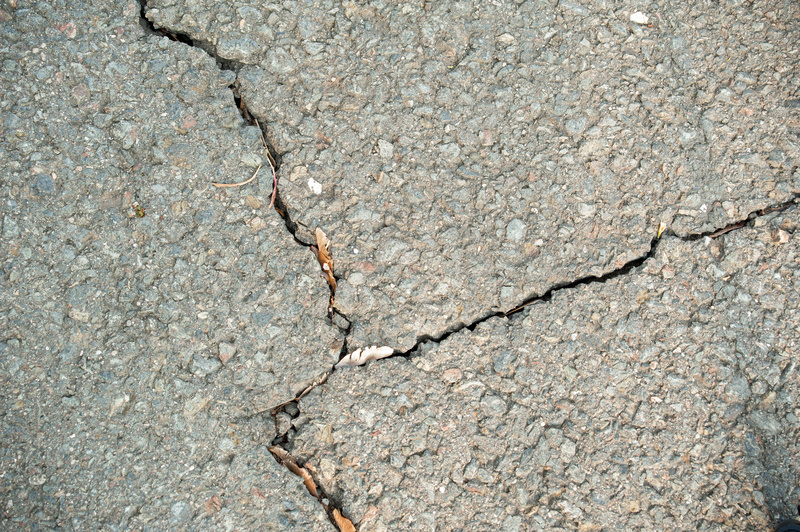 Settlement: These are severe cracks that penetrate deep inside the concrete. They occur when the ground settles beneath the slab and splits it in half. Temperature changes: Concrete expands and contracts with the changing seasons. If water enters a cracks and freezes, it can expand and worsen the crack. Subpar garage floor coatings don’t prevent cracking because they’re not suited to withstand temperature changes. Epoxy floor coatings, on the other hand, are great for preventing cracks. If your floor is cracked, flooring installers will repair the damage before applying a new epoxy coating. This is the room where you park your car, work on hobby projects and store outdoor materials, so of course the floor is subject to oil leaks, paint spatters, hard water stains and dirty tire marks. These could permanently stain the concrete surface. Fortunately, a new epoxy coating covers the damage and offers a protective surface against future stains. If you spill anything onto an epoxy floor, all you need is a wet rag or mop to restore the surface to its former beauty. This is a huge relief for car junkies and hobbyists alike. If your garage floor is painted or has another type of subpar coating, it’s likely to pit and corrode over the years. The condition of your garage floor gets worse and worse every winter when salts designed to thaw icy roads make their way into your garage. Unless you want the garage floor to continue looking like the pitted lunar surface, it’s essential to repair and refinish the floor. Then a fresh epoxy layer prevents pitting from ever happening again. The beauty and longevity of epoxy is all thanks to the thick, high-quality, stain-resistant features of this contemporary flooring material. With an attractive slip-resistant finish, your garage will look great and remain a safe place to work and play for many years to come. 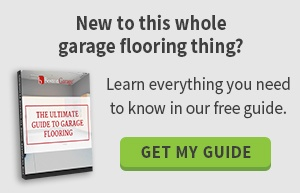 If you’re interested in having an epoxy floor coating installed in your garage, please schedule a free on-site design consultation with Boston Garage.